Naomi André will participate in the Breaking Glass forum at McCaw Hall on July 28. 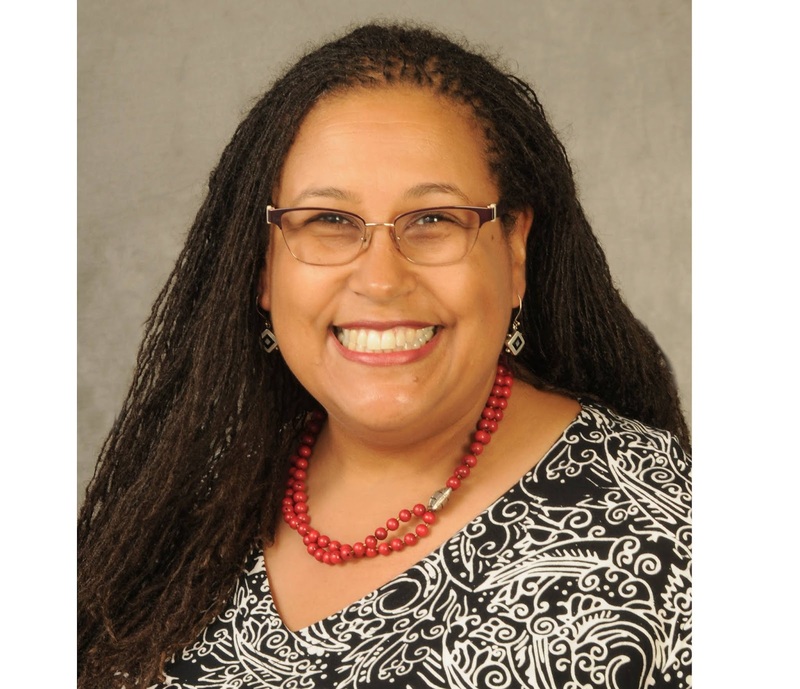 Naomi André is Associate Professor in Women’s Studies, the Department of Afroamerican and African Studies, and the Associate Director for Faculty at the Residential College at the University of Michigan. She received her BA in music from Barnard College and MA and PhD in musicology from Harvard University. Her books, Voicing Gender: Castrati, Travesti, and the Second Woman in Early Nineteenth-Century Italian Opera (2006) and Blackness in Opera (2012, edited collection) focus on opera from the nineteenth to the mid-twentieth centuries and explore constructions of gender, race and identity. Currently she is completing a monograph on staging race and history in opera today in the United States and South Africa. Link to her full bio here. In Breaking Glass, we’re going to tackle issues of race and equity in opera. Why do you think this conversation is so important to be having in the opera world right now? There are so many reasons! In operas like Aida, Otello, Madama Butterfly, Turandot and Porgy and Bess, issues of race and ethnicity often come up to the surface. 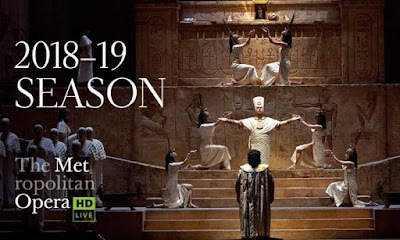 With the increase of popularity in The Met: Live in HD (the broadcast of Metropolitan Opera productions across the world into movie theaters), there’s been more of an emphasis on the visual aspects of performance. You can see so much. Before the 1990s, there was less pressure to be physically beautiful in a mainstream sense; opera singers were glamorous whatever their body size. Audiences had opera glasses for super-titles and translations (which were not standard as they are now). Going to the opera was more of a mystical and aural experience; you either knew what was going on beforehand as a fan or you waited patiently to figure it out. But now, opera is much more open to new-comers and the super-titles and visual emphasis are great for the connoisseurs also. However, with more of a focus on the visuals, a singer’s physical appearance, and thus, race, inevitably come up. The Met: Live HD allows people across the country to experience world classes performances from the comfort of their local movie theater. 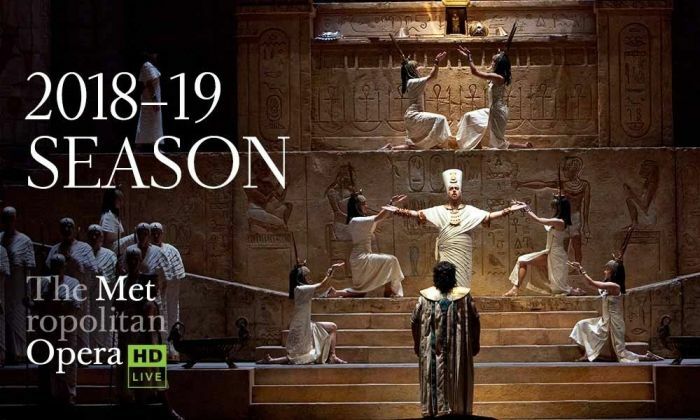 The upcoming season with include productions of Aida and Samson et Dalila. Also, we live in a time where, particularly since Obama’s presidency, discussions of race and the African-American/Black experience have become more mainstream. We have learned—particularly in 2012 with the tragic death of Trayvon Martin—that there are different vantage points coming out now. On the one hand, there’s been this transcendence of African Americans with individuals such as Eric Holder (former Attorney General) or Barack Obama, and many others in prominent positions. And yet, we’re seeing cell phone pictures and videos of how brutality continues. Now in 2018, we are rethinking Emmett Till’s murder at the beginning of the Civil Rights Movement. We are looking back at issues of racism and injustice, and we are trying to work through them. WHAT’S CHANGED? : Left: Emmett Till and his mother, Mamie Till. Right: Trayvon Martin and his mother, Sybrina Fulton. While the dates of their murders are separated by more than 70 years, both young men (and numerous other Black victims) have forced America to confront its history of racism and injustice that continues to this day. What does representation mean to you? As mentioned, visuals have become an important part of opera in terms of who is playing what part. But also, representation goes beyond what’s onstage. It involves, not only who are seeing, but who are we not seeing. Whose stories are being told and whose are missing? What stories do we yearn for? Who are the people behind the scenes? Who’s on the board of directors? Who’s in the pit and in the orchestra? Considering opera’s problematic and at times racist past, why are you passionate about this art form? The long answer is that today, there are more operas about Black life and the Black experience through composers such as Anthony Davis (who wrote X, The Life and Times ofMalcom X and Amistad), the opera Margaret Garner was created in part by Toni Morrison as the librettist with Richard Danielpour as the composer. Another example is The Summer King, about Josh Gibson (a Black baseball player who is thought to have hit more home runs than Babe Ruth), a power hitter and catcher who thought he was going to integrate baseball. There are many others: We Shall Not Be Moved (composed by Bernard Roumain with the libretto by Marc Bamuthi Joseph) about the 1985 MOVE Bombing in Philadelphia, I Dream (by Douglas Tappin) about Martin Luther King Jr.’s life, D.J. Sparr Approaching Ali (based on Davis Miller’s memoir of being a white admirer of Muhammad Ali and their in person meeting), Champion about welterweight fighter Emile Griffith (composed by Terence Blanchard),….the list of operas about Black subjects by black and interracial compositional teams is growing. It shows that the opera stage is becoming an important place to showcase black talent and stories through a diverse range of composers, librettists, and singers on stage. BLACK OPERA: From l-r: Champion, an opera based on the life of welterweight prize fighting champion Emile Griffith co-commissioned by Opera Theatre of Saint Louis and Jazz St. Louis. Margaret Garner, with libretto written by Beloved author Toni Morrison, is loosely based on actual events in the life of runaway slave Margaret Garner, and starred Denyce Graves in its 2005 premiere. Lawrence Brownlee stars as the legendary saxophonist in the opera, Charlie Parker's YARDBIRD. OperaCréole performs Scott Joplin’s Treemonisha, which, created in 1911, tackles the issue an issue that was close to the composer’s heart: the education of former slaves and their descendants. On the American stage, there’s this difficult legacy of minstrelsy with stereotypical characters such as the Buck (a large Black man who chases after white women), the Jezebel (an oversexualized temptress), the Sambo (a docile, lazy slave loyal to his master). But from the late 1980s to the present, we’ve been starting to see stories that are actually really positive. Now, there’s a movement for reinvention, for writing our own history. It’s very exciting. The other, shorter answer about why I love opera, is that my mother was a singer who attended Julliard. A high coloratura. I grew up singing with her in church, and I grew up hearing that distinct sound—my mom’s sound—that I later learned was part of an operatic tradition. The leap into listening to and enjoying the operatic voice was not a tough jump for me; it was always familiar. Sometimes, conversations about race and equity—especially where we the opera company are trying to take ownership of harm we’ve caused, can elicit criticisms such as, “You’re trying to make everything politically correct” or “You can’t please everybody.” Neither of these are necessarily the goal, though. From your view, what should the goal be of conversations of race and equity in opera? I see the goal of these conversations as creating more comfort and safety for all people. Opera is one of the real treasures on the planet. You get to dip into another world. I think this art form is just the bee’s knees! Yes, I know that sounds corny, but I’m trying to show that it’s a cool, artful, fun, and relevant genre for today that everyone (regardless of race, education, or background) should be able to experience and be given the opportunity to fall in love with. Not everyone will love opera, but many will find it wonderful, if they just get in the door. I’m a big believer that we should try to share opera with a lot of people. In these conversations, we’re saying, these riches are not just for wealthy old people. They’re for everyone. 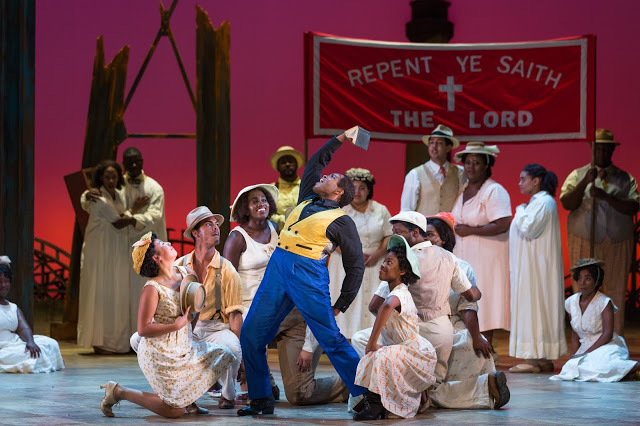 Seattle Opera is presenting Porgy and Bess, an opera you’ve studied extensively. In the past, you’ve stated that, “Is this opera racist?” isn’t a helpful question to ask surrounding Porgy and Bess. What questions should we be asking about Gershwin’s opera? I would ask, how does race have meaning in this work? How did it have meaning when Porgy and Bess premiered in 1935? How does it have meaning today? What does it mean to be Black in 2018? A nice way to look at it is there’s no one way to be Black. There are 35 million ways. I don’t mean to imply Blackness and race don’t matter. Cornel West (political activist and Professor of the Practice of Public Philosophy at Harvard University) who is known for being controversial, but he has many trenchant and important ideas. His book (Race Matters, Beacon Press 1993) addresses morality and race and what it means over a century after the Civil War. This is still a necessary question today: How does race matter? To me it seems that the horrors of the past are still part of our legacy: slavery, Jim Crow, segregation, hoses on people, redlining housing communities, people not feeling comfortable inviting Black colleagues to dinner or lunch. I’d like to think that the arts allow an escape and means of building bridges across cultures. The arts can help us feel that things could be different. One thing I love in studying the Harlem Renaissance is that you see a generation—the first born free after slavery—thinking, “How can we be seen as fully human?” W.E.B. DuBois, Alain Locke, Langston Hughes, Zora Neale Hurston, Katherine Dunham and others—they all realized that the arts were something that we, Black people, can share with others, including with white people. We can tell our story through poetry, through music. We can show that maybe we’re not so different from you. DuBois, Locke, Hughes, Hurston and Dunham are all Black artists who used their talents as a way to tell the story of their experiences and livelihoods. How will Porgy and Bess change and resonate in the 21st century? I know folks, Black people in particular, who want Porgy and Bess to be minimized and fade into the background. I find it very challenging to teach Porgy and Bess today. My students study this work, and they don’t understand the context of the 1930s—all they see is the harmful stereotypes by today’s standards. I say, “It’s wonderful that you’re noticing these things,” but there’s more to Porgy and Bess than that negative side. Perhaps I see it differently because I’m older than my students. I remember situations in my life that remind me of what I see in the opera; being afraid of how you’re going to be treated or perceived, for example. I differ from my students, because I see an amazing wonder in Porgy and Bess. I’ve come to know the larger context well by studying other things Gershwin has written and his larger community that included black composers William Grant Still and Will Marion Cook. I’ve done research on the Heywards; Dubose wrote the Porgy novel in 1925 and his wife Dorothy adapted the novel into the play Porgy in 1927; both were influential as the Heywards worked with George and his brother Ira Gershwin to create Porgy and Bess. There was also an important collaborative element with the performers who rehearsed and interpreted this work on stage. What they were doing in their time, this amazing interracial collaboration, is extraordinary. So I hope that Porgy and Bess doesn’t go away. I also think Porgy and Bess should not be the only opera with many Black people onstage. I want more composers like Anthony Davis and performers of color to be part of opera’s present and future. There needs to be a balance. During Breaking Glass, you’re going to discuss “who has the right to tell whose story?” At Seattle Opera, we talk a lot about cultural appropriation (last summer, we did Madama Butterfly). Whether it’s Porgy and Bess or Madama Butterfly, there’s a history of people who are perceived as exotic or faraway by white standards being used as subjects for art-creation. What thoughts do you have on cultural appropriation? When is it harmful? Can cultural appropriation ever be a good thing? This is a complicated question. On the one hand, I respect the desire to pay homage to another culture. But I would advise working with people from that culture on the inside who can say, “This feels comfortable. This doesn’t.” What can you do to honor the people you’re referencing? It’s wonderful to celebrate and learn about other cultures. But it must be done with care, knowledge, and respect. Yes. I see opera as a space of liberation and activism. I’m also fine with operas that are, essentially museum-pieces that preserve tradition. I love museums. I want opera to do the classic repertoire, but let’s also have the Malcom X opera, and more. The development of Breaking Glass: Hyper-linking Opera & Issues has been funded by The Andrew W. Mellon Foundation and the Opera America Innovation Grant and Repertoire Development Grant.